As a child I would sometimes watch a show that my parents watched when they were children too. They spoke about this show as though it was an inevitable future; flying cars and robot maids. If you haven’t guessed yet, that show was The Jetsons. My parents said that they just knew that by the year 2000 they would be in flying cars. Well it’s been another 18 years and we still don’t have flying cars, at least not commercially. But one area that technology seems determined to follow is the avenue of self-driving cars, or unmanned vehicles. Like most folks, I’m a little hesitant at the thought of driving on the road next to a car that has no one steering it, at least initially. But the technology that is used in these unmanned vehicles can also be applied to other facets of life. Row crop farming has been making use of this technology for several years now. When harvesting they simply plot out their field into a computer onboard their tractor which navigates using GPS and other sensors while the farmer sits in the cab monitoring all. 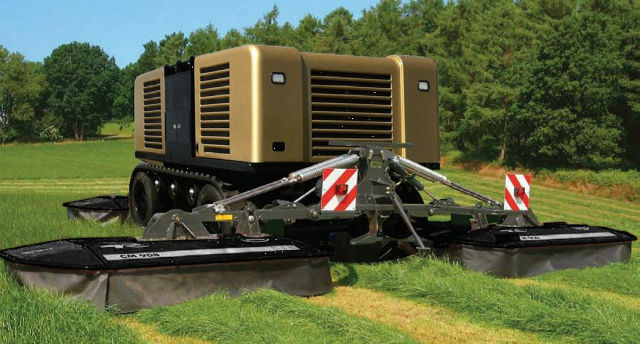 But a few manufacturers have gone as far as having completely automated tractors. They don’t even have a cab! You use a computer to give the tractor commands and off it goes. Now people reading this will be saying “JK, you’re a Livestock agent, not a Horticulture agent”. I know, I know. But as anyone who has had a livestock operation can attest to, land management consumes the majority of your time, particularly on cattle and horse operations where you are trying to manage large pastures. Imagine being able to just give some commands to your tractor, “Go mow this field, and then spray this one, and then till this pasture.” I don’t know of any studies done yet, but there will be a certain price threshold between the cost of autonomous tractors and labor. Just think of the money and time you could save if your tractor could plant your winter fields for you and all you had to do was make sure the hopper had seed in it. Although this tech is still a few years and economic shifts away, it’s certainly coming. 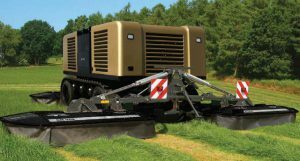 Of course there will be inherent risks and limits to using automated tractors. I can just imagine someone’s anger when their tractor runs through a fence and lets herds mix, especially if it was a neighboring fence. But as with most technologies, time will iron out most of the kinks. Think about how quickly smart phones have become an adapted technology. Maybe I have my head in the clouds or maybe I’m just tired of listening to myself think while I’m mowing a field in the summer heat. Either way there’s always something to be excited about in the agricultural industry.